It seems that everyone wants us to believe that VR is the future of gaming. Whether Virtual Reality gaming is here to stay or just a trend is something we will have to wait and see but for now it’s a very intresting subject. Now that the VR is the new cool thing many developers are trying to figure out how to use the fancy googles in their new games. Some have luck more than others but it seems that Horror games are making themselves more comofrtable on the VR than any other game genres. In the last few years there has been a significant increase in horror games especially when it comes to indie games. Slender, Amnesia The Dark descent, Outlast and many other horror games did not only revive a genre that desperately needed some love but also created, for better or worse, youtube channels dedicated to playing those very games and getting scared just for our viewing pleasure. Even before VR was available to the general public, we were able to see streamers like PewDiePie play around on the VR and guess which games did he play? Yup, Horror games. Since VR litteraly(limits your perception to only what the game wants you too see, this only adds to theimmersion of the experience, in other words, things look much scarier in VR. Alex Barder and Russel Naftal, co-founders of VRWERX seemed to have lost their interest in Horror themed entertainment on the TV screen. "What VR horror has done has raised the bar on horror storytelling, for everyone“, says Alex Barder. 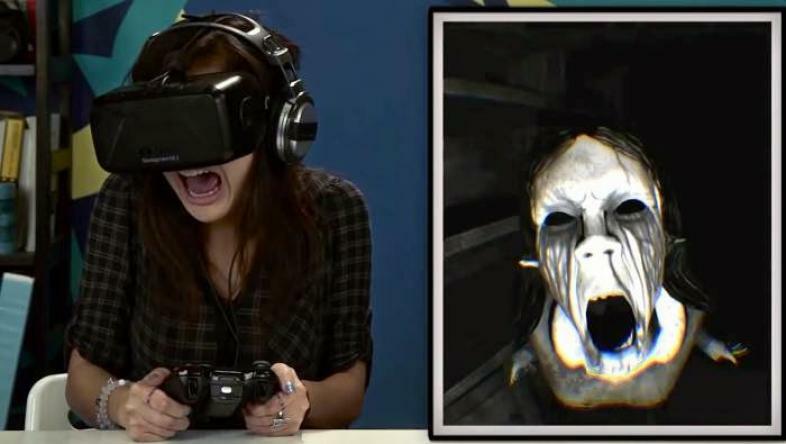 According to them, when you play a VR horror game, you are not just watching it, you are litterally in it. The future of VR still seems unclear but Horror games seemed to have found their new comfortable home on these unique goggles.